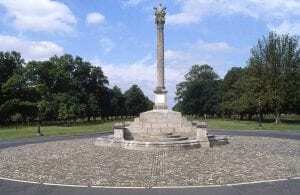 There is much to explore and see in Dublin’s Phoenix Park including the magazine fort and Prehistoric Burial Chamber; visit the Papal Cross, Wellington Testimonial or graceful Phoenix Monument. At 707 hectares (11km perimeter) it’s a lot of walking so why not hire a bike or join a Segway Tour? Áras an Uachtaráin, our president’s official residence, Farmleigh House for visiting dignitaries and the US Ambassadors Residence are all within the park. We love Dublin Zoo, also in the park, and highly recommend a visit if you’re visiting Dublin with your family.